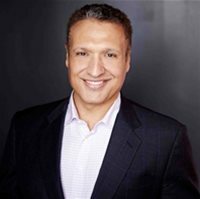 Vince Commisso is President & CEO of 9 Story Media Group, one of the industry’s leading creators, producers and distributors of top quality content for young audiences around the world. With facilities in Toronto, New York, Dublin and Manchester, the 9 Story family of companies has produced over 2,800 episodes of best-in-class kids and family programming. Vince began his career in 1992 at Nelvana, where he rose through the ranks to become Supervising Producer, garnering one Emmy® and two Gemini® nominations. In 2002, he co-founded 9 Story Entertainment, an animation company that would utilize leading edge technologies to develop and produce compelling animated children’s content with international appeal. Since earning an Emmy® Award on the company’s very first show, Peep and the Big Wide World, the 9 Story family of companies has gone on to earn countless other awards, including fourteen Emmy® Awards and two Oscar nominations. Vince serves on the boards of The Canadian Media Producers Association (CMPA) as a Director and The Canadian Association of Content Exporters (CACE) as Vice Chair and holds an MBA from the Schulich School of Business. In 2015, Vince was awarded the prestigious EY Entrepreneur of the Year Award for the Entertainment and Media category in Ontario.